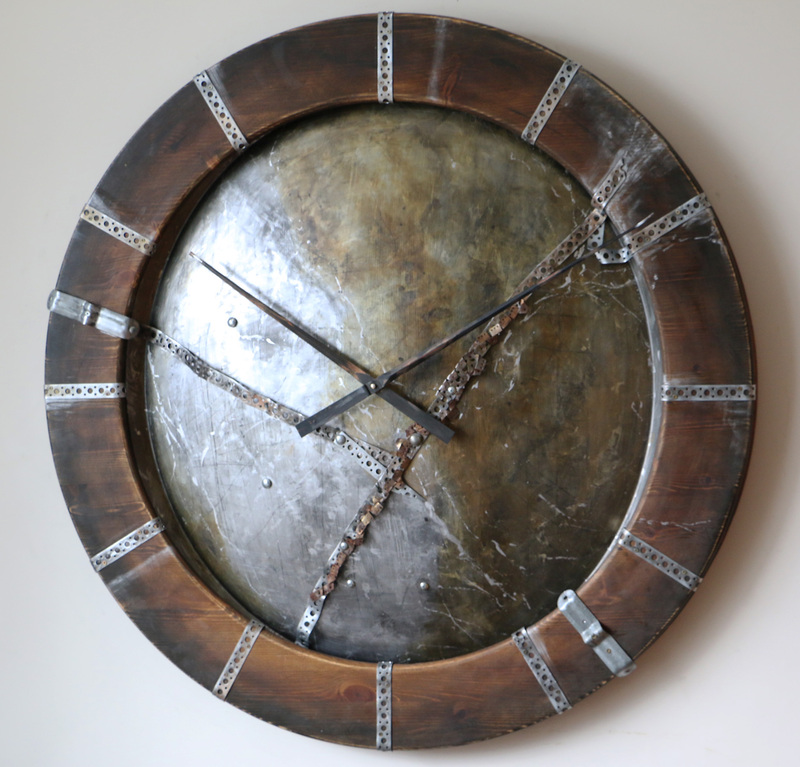 Industrial wall clock made of large metal elements and wooden out rim. Ideal piece of oversized wall art that would fit great in industrial interiors. If you are looking for something different than traditional roman numeral timepieces then perhaps this design would suit your taste. 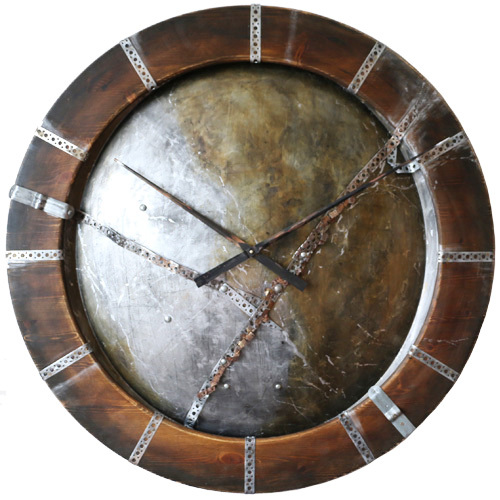 This stunning industrial wall clock is originally designed as 100 cm in diameter but other sizes are also available on request. We added the first industrial wall clock to Peak Art store probably 2 years ago. It was a wooden wall clock and some metal elements. Since then, I was mainly concentrated on more traditional designs. 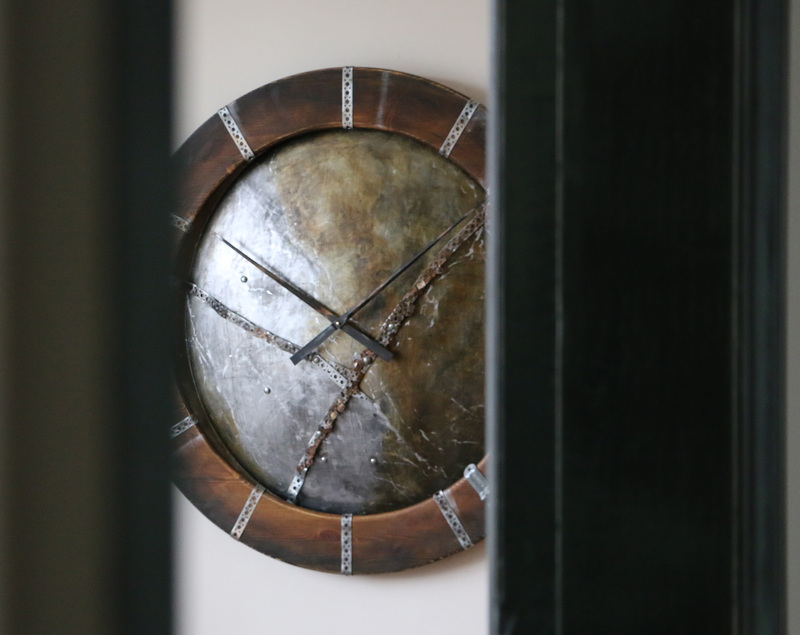 I think I only added one more industrial wall clock to the overall collection. 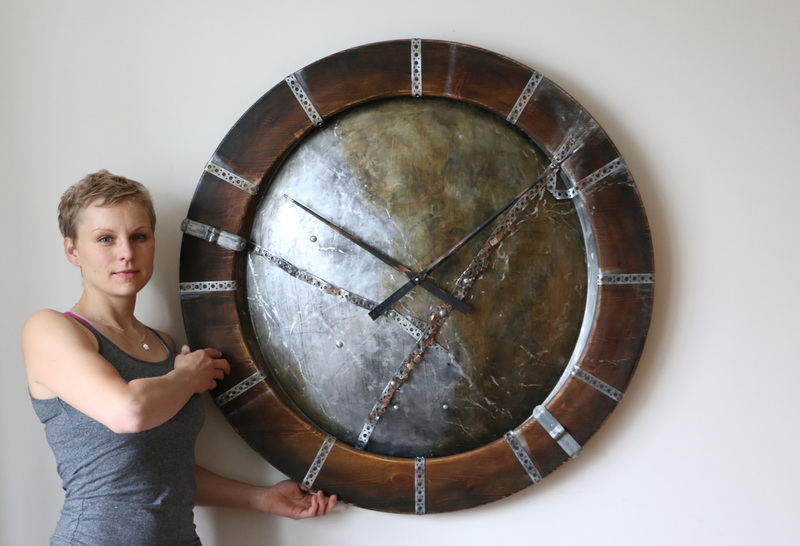 Why I decided to make something completely different than the wall clock with classic roman numerals? As an artist I always need new challenges and this was no exception. It isn’t easy design trend to follow because it is about mixing and matching. The difficulty only makes it more interesting if you are passionate about what you do. This is how this remarkable timepiece was born. The overall pattern includes all essential elements of industrial style. It exposes raw metallic edges and seems unfinished but cohesive. 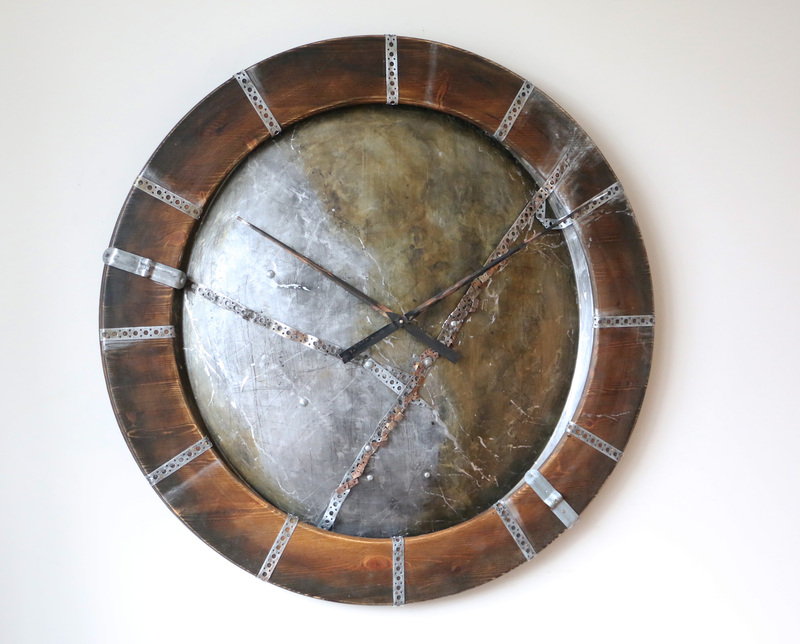 The industrial wall clock design like this would certainly provide a strong “wow” factor and make your space look so much more attractive. I have included much more information about the industrial clocks in my blog section. From the practical aspect, the clock uses the most powerful Quartz Sweep Movement. It needs a single C-Cell battery which should last 9-12 months without changing it. When we deliver the clock we have to detach both hands to prevent any damage in transport. You will receive full instructions how to attach both hands and set the time. Have you landed on our website because you are looking for something special? You probably don’t follow old trends and buy mass produced goods. 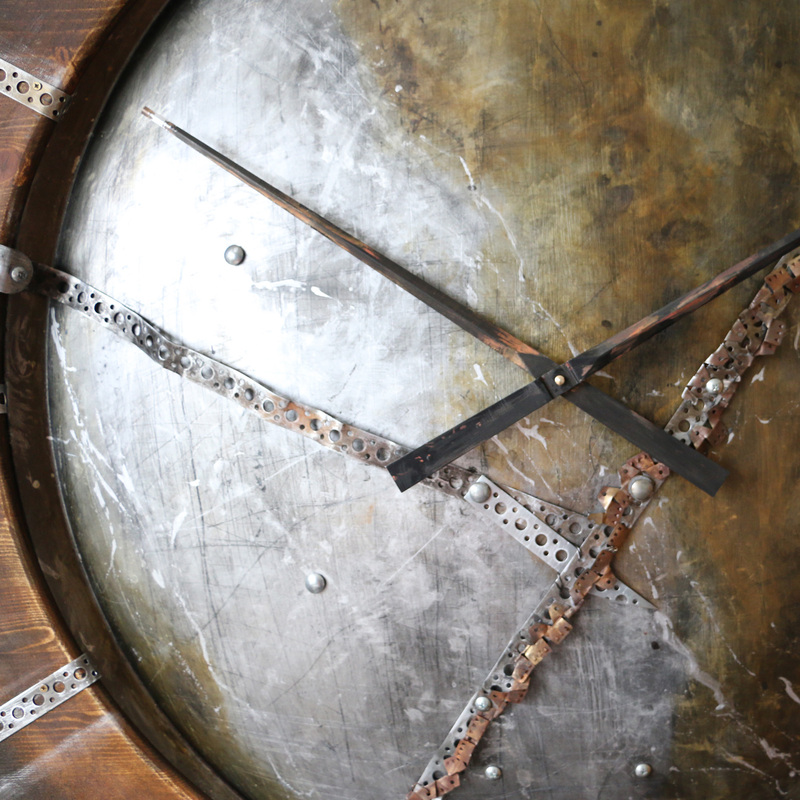 How about adding this large industrial wall clock to your sophisticated living space? If you have any questions please let us know, we are always here to help.